This week's Thursday Night Talk: The Race Beat honored The Queen of Soul, Aretha Franklin, in song and stories. Lorna Bryant and her guest, Lettie Love, discussed the impact of this icon's music and message to society. Host Lorna Bryant recently held Thursday Night Talk: The Race Beat for an exploration of music in honor of Black Music Month. Local vocalist, Paula Jones, and musician, Lettie Dyer, explore various genres of music where African Americans have made an impact. 2017...oh, that was the year that was! 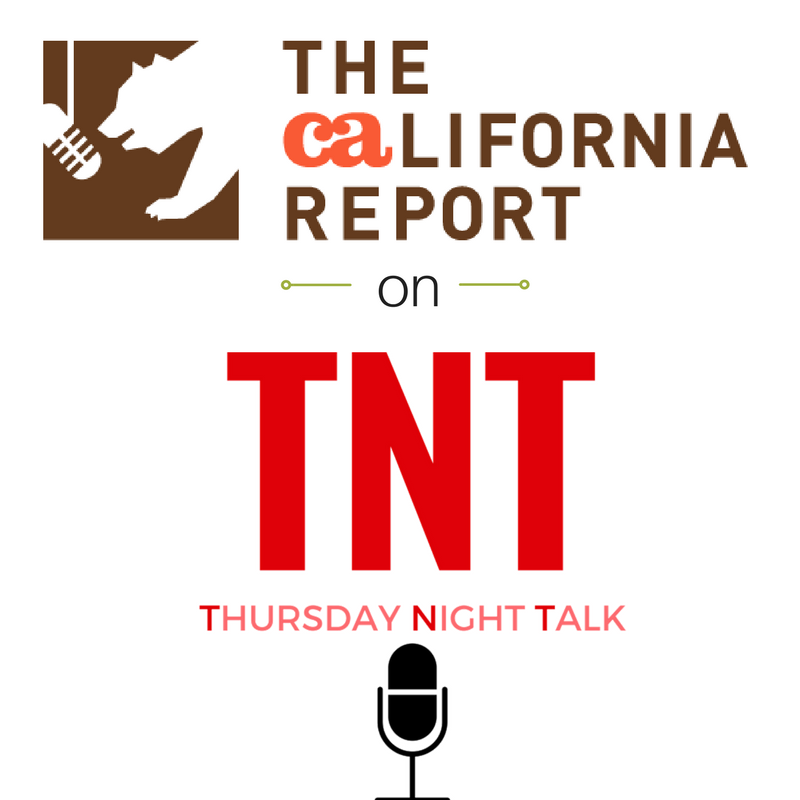 On Thursday Night Talk, Brenda Starr hosts the hosts of Thursday Night Talk to discuss their shows, topics, and guests from 2017 and sneak peek our public affairs program for the new year. Thursday Night Talk: Who Gets to Air Our Dirty Laundry? 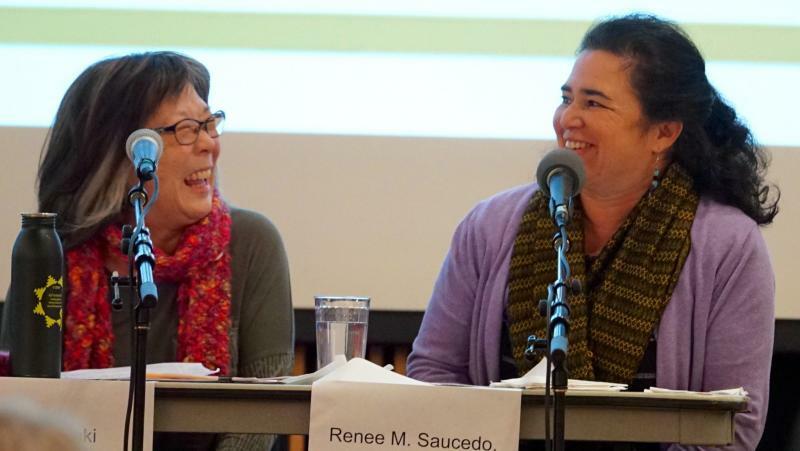 KQED's John Sepulvado joined Lorna Bryant for a discussion about recent reporting from the streets of Humboldt County. 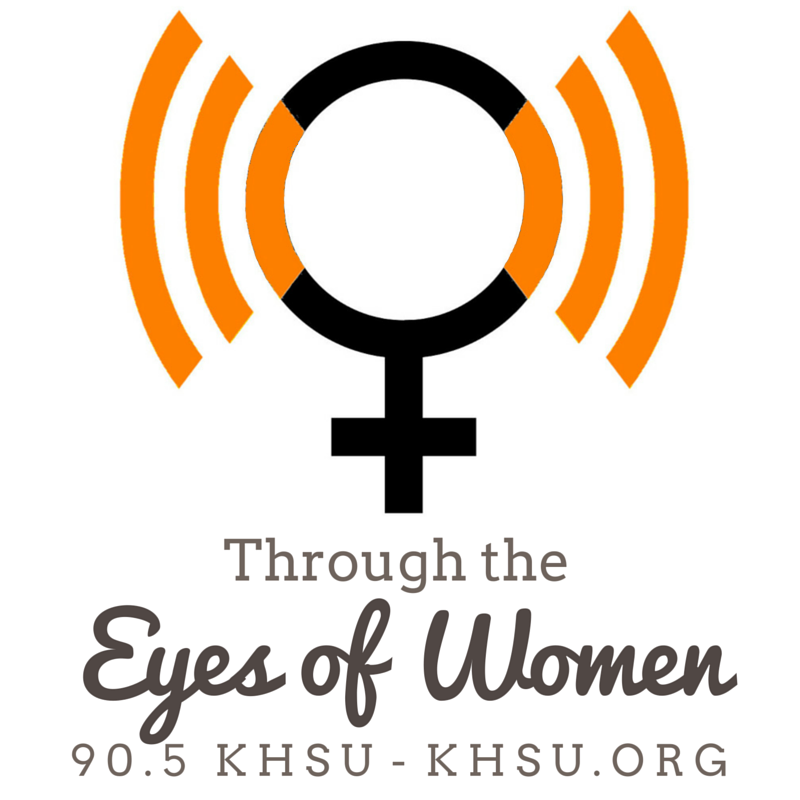 KQED's California Report spent time in KHSU's studios and reported on the North Coast scene. Were we offended? Who gets to air 'our' dirty laundry? As the U.S. prepares for Thanksgiving next week, many of us think of the image of happy 'Pilgrims and Indians' coming together for a big feast. But what about the rest of the story -- the historical facts versus the Mayflower myths? 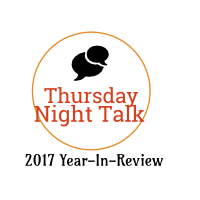 This is a condensed version of a Thursday Night Talk program from November 16, 2017. How much do you really know about Thanksgiving's origin story? Cutcha Risling Baldy and Lorna Bryant the historical facts versus the Mayflower myths. Thursday Night Talk: The Race Beat presents a special program in honor of Humboldt State University's 24th Annual Indigenous Peoples' Week. The Indigenous Voices Forum offered a discussion about Christopher Columbus, the Doctrine of Discovery and Indigenous Peoples Rights. HSU professor, Cutcha Risling Baldy and KHSU's Lorna Bryant hosted the forum held in HSU's Kate Buchanan Room Wednesday, October 11, 2017. Panelists included professors Marlon Sherman and Kayla Begay of Humboldt State's Native American Studies Department; Tia Oros Peters and Chris Peters of Seventh Generation Fund of Indigenous Peoples, Inc.; and Cynthia Boshell, former HSU lecturer. Click here for more information about Indigenous Peoples Week events. On Thursday Night Talk: The Race Beat, Lorna Bryant introduces us to HSU's Cultural Centers: Humboldt State University MultiCultural Center (Carlos Sanchez, coordinator), African-American Center for Academic Excellence (Kenya U. James Nunley, coordinator - not present), Latinx Center for Academic Excellence (Fernando Paz, coordinator and Victoria Navario, Student Community Liaison), Native American Center for Academic Excellence/ITEPP (Adrienne Colegrove Raymond, coordinator), and Asian Desi Pacific Island Collective (Roger Wang, adviser). KHSU's Lorna Bryant attended the McKinleyville Municipal Advisory Committee for The Race Beat. 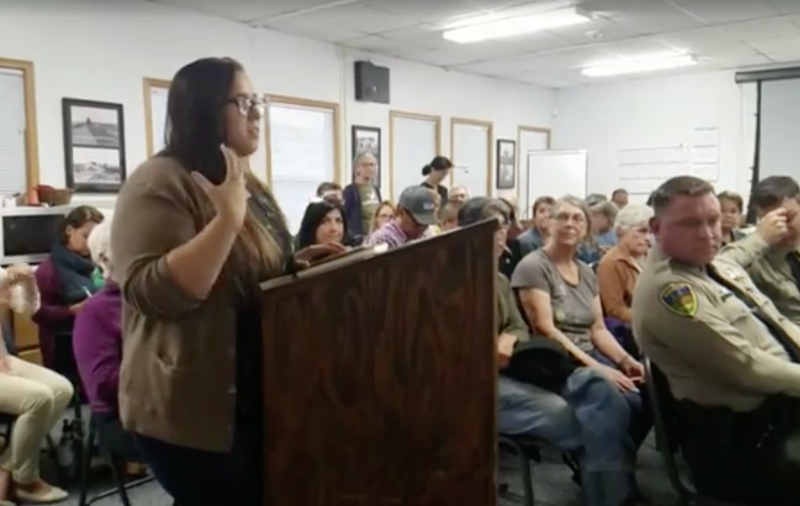 Item 7 of the agenda states: "McKinleyville Municipal Advisory Committee to decide on future agenda item concerning allegations of racism in McKinleyville. The McMAC may or may not choose to place the item on a future agenda." 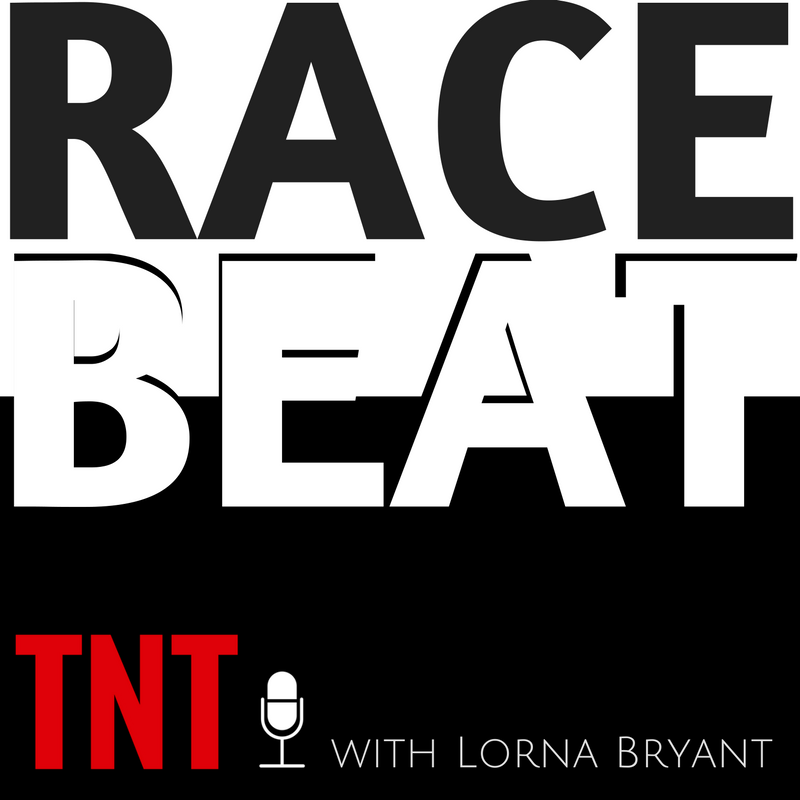 On this episode of Thursday Night Talk: The Race Beat host Lorna Bryant discussed cultural appropriation vs. cultural appreciation. The discussion centered around how it's defined and, once identified, how to move to cultural sensitivity and humility - by all people. Cultural appropriation vs. cultural appreciation: Lorna Bryant and guests discuss respect, humility and sensitivity. The local NAACP is calling for stricter moderation rules on local media comment sections. Is this call to action an act against our 1st amendment rights? 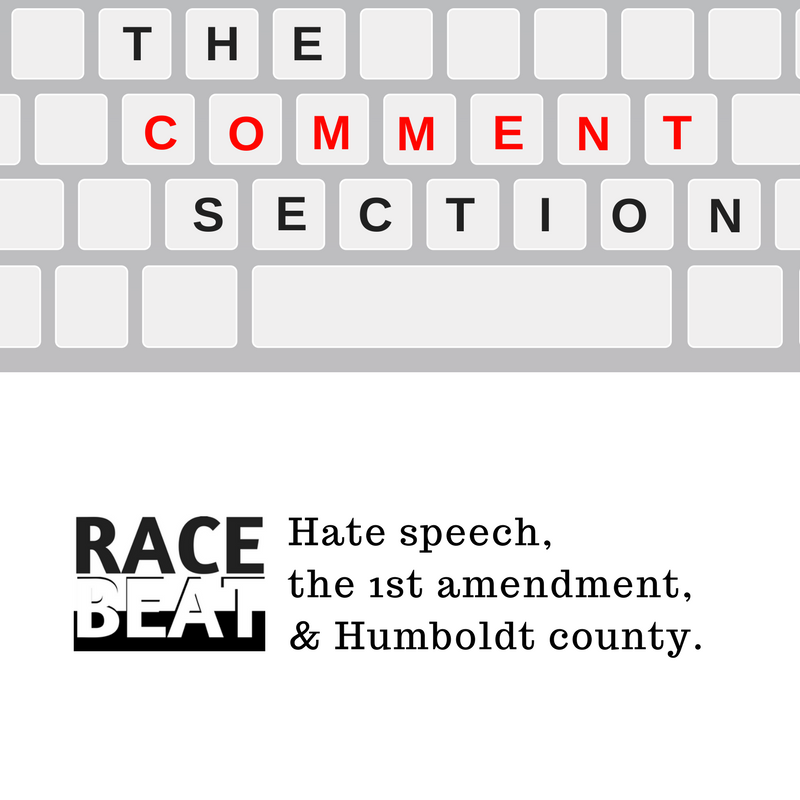 Race Beat: Eureka NAACP asks local media to keep hate speech out of the comment sections. Should they? Lorna Bryant hosts. 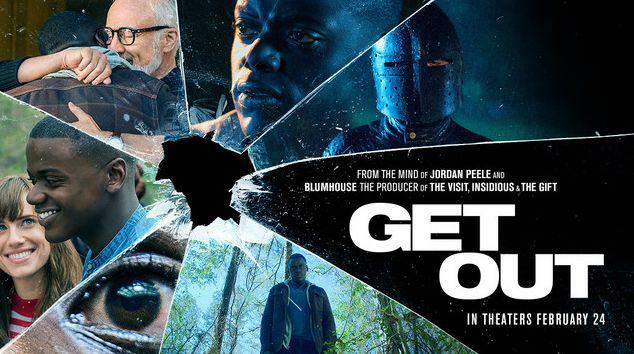 Have you seen the psychological/social thriller, "Get Out"? 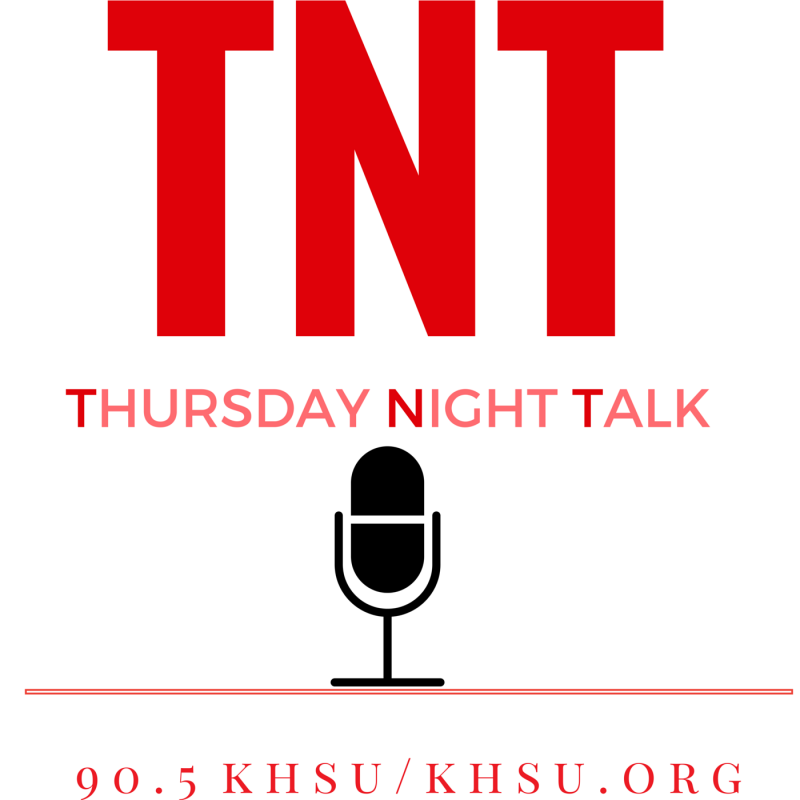 Would you like to share your thoughts or movie experience on KHSU? With guests Jill Larrabee, Patty Yancey and Malcolm Chanaiwa, Lorna Bryant hosted Thursday Night Talk: The Race Beat on April 20. Lorna Bryant and guests discuss the film Get Out. 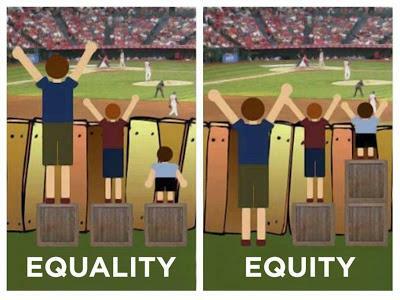 What's it Like Living as a Parent of Multiracial Children/Being a Multiracial Person? 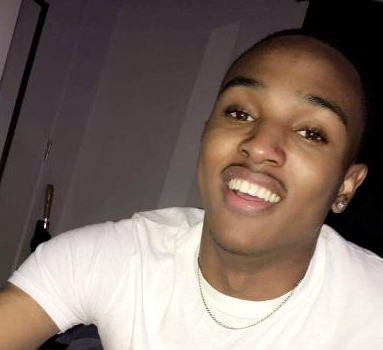 Did you know the second fastest-growing racial group in the U.S. are those who claim two or more races – when it was just 40 years ago laws prohibited interracial marriage. The Loving v. Virginia case is a landmark civil rights decision of the United States Supreme Court that overturned those laws. Lorna Bryant hosts a discussion on complexities for multiracial people and their families. 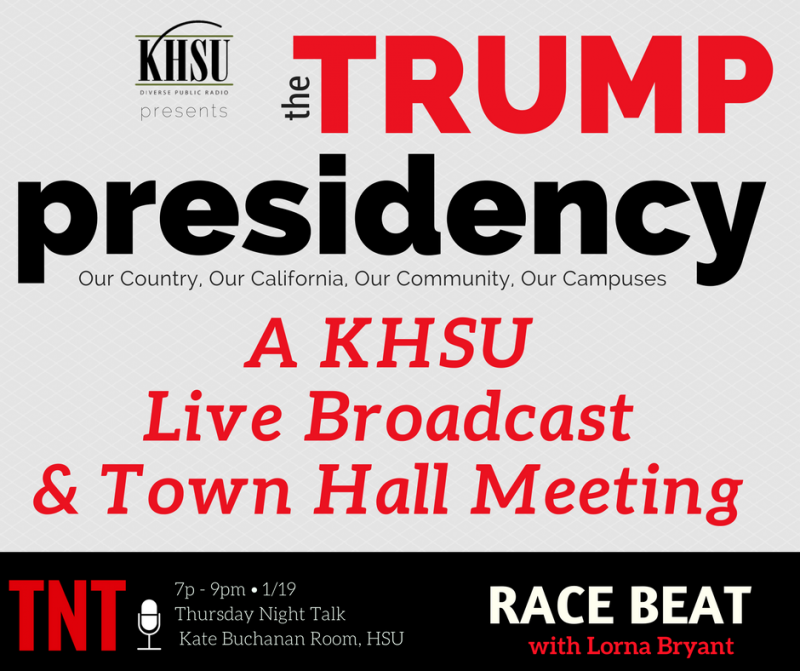 KHSU's Thursday Night Talk hosted a live, town hall-style event on the eve of the presidential inauguration.